Solomon Nwhator's writing experience dates back to 1999, when he was an oral health columnist. His writing specializes in finance, science fiction, technology, religion, society and other areas. He has authored several research papers in the area of dentistry and oral health and has been published by the World Health Organization. He is a dentist and consultant in periodontology. When Joseph Priestley offered his friends the sweet-tasting, refreshing carbonated water originally intended to kill mice, little did he know that he was creating a plethora of controversy. More than two centuries later, the relative health differences between carbonated and noncarbonated water remain a subject of intense debate.Though arguments have been put forth on each side of the divide over the years, the health differences between carbonated and noncarbonated water remain largely equivocal. The controversy about the health difference between carbonated and noncarbonated water has shrouded the main reason why many folks turn to carbonated drinks. People actually get attracted to carbonated water for health reasons. The fact that carbonated water comes in pleasant flavors devoid of sugar, colorant, preservatives and sweeteners makes it attractive to health-conscious folks -- that's of course until conflicting research reports started indicating otherwise. Every body system depends on water in its natural form to function. The pH or acidity of body systems is maintained by adequate water balance and the viscosity or thickness of blood is directly related to the level of hydration. While it has been argued that carbonated water could perform these functions since it only differs from noncarbonated water in its carbon dioxide content, there are concerns in many quarters that this might not be the case. Hydration appears to be the most important health difference between carbonated and noncarbonated water . It's been argued that carbonated water places pressure on the kidneys leading to the risk of dehydration. Dehydration contributes to many health problems such as constipation, bladder infection, rheumatoid arthritis and osteoporosis.The capacity of carbonated water to adequately hydrate the body has generated serious concerns and has been a subject of much research. The fact that a September 2002 study found carbonated water to help in the relief of constipation further adds to the controversy. Dentists from the University of Birmingham studied the capacity for carbonated water to cause dental erosion. They found no association. Caffeine, which was previously identified as the culprit for dehydration in carbonated beverages, has also been exonerated. A highly celebrated October 2000 study published in the "Journal of the American College of Nutrition" reported no association between carbonated water, caffeine and dehydration.The National Osteoporosis Foundation has also noted that unlike previously believed, carbonated water does not lead to osteoporosis. 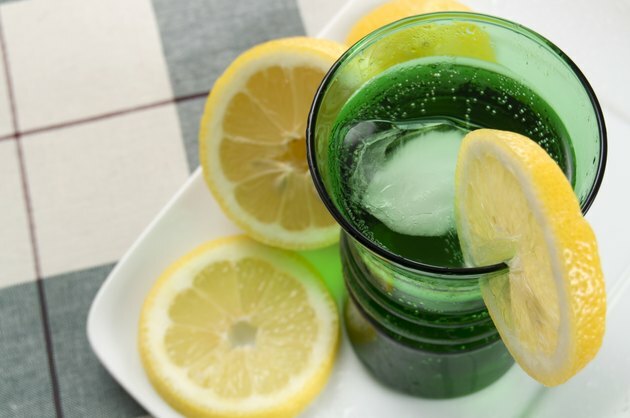 Surprisingly, research has identified some health benefits of carbonated water, such as relief of heartburn and constipation as well as improved gallbladder emptying. A May 2004 study reported that sodium-rich carbonated water reduces cardiovascular risk in post menopausal women. Despite these positive findings, however, depending on carbonated water as the main source of fluids is inadvisable because research has reported an association between carbonated drinks and ailments such as esophageal irritation, gastric reflux and irritable bowel syndrome. "European Journal of Gastroenterology and Hepatology"; Effects of carbonated water on functional dyspepsia and constipation; Rosarioa Cuomo, et al; September 2002.